Welcome to my world of books! From the National Bestselling Team of Deb Baker and Hannah Reed! 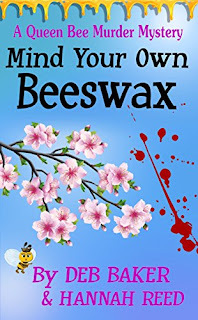 Mind Your Own Beeswax, second in the Queen Bee mystery series, has been reissued through Kindle with a new, low price of $2.99. Story Fischer has her hands full with her successful local market, her Queen Bee Honey business, and new maybe boyfriend, Hunter Wallace. 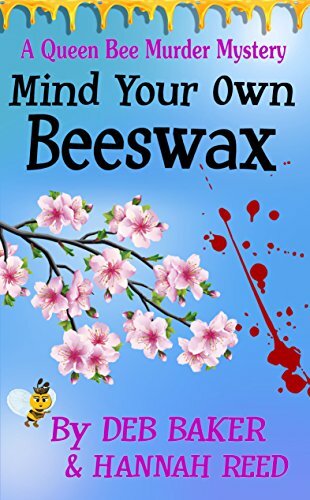 Now a woman with a checkered past has returned, and when Story goes searching for one of her hives that has taken off into the woods looking for better digs, dead bodies and a vicious killer follow her in. About the authors: The Queen Bee series was originally published under the name of Hannah Reed. With the reissue, Deb Baker wanted her share of the credit, since she was the mastermind behind the concept. A compromise was reached. They would team up. So far, it has worked out. But as everyone knows, ultimately, there can only be one Queen Bee. I also write as Hannah Reed. Visit my other half and learn more about the beekeeping stories and the Scottish Highlands trilogy at Queen Bee Mysteries. Deb's iTune Books, Sony ebooks, and for all other electronic versions, visit her at Smashwords. Copyright@2011 Deb Baker. Picture Window theme. Powered by Blogger.